Fed chair on political criticism: "We're just trying to do our jobs"
Federal Reserve Chairman Jerome Powell addressed President Trump's repeated attacks on the central bank on Wednesday, though not directly, when Dallas Federal Reserve President Robert Kaplan asked him about criticism from "political leaders:"
"We have a very important job that Congress has assigned us: serve the public ... That's our sole focus. We don't try to control things we don't control. We try to control the controllable. We're just trying to do our jobs, and we're doing fine." Why it matters: President Trump has repeatedly said he is "not thrilled" with the Fed for raising interest rates, breaking a long-time precedent of Presidents not publicly commenting on monetary policy. 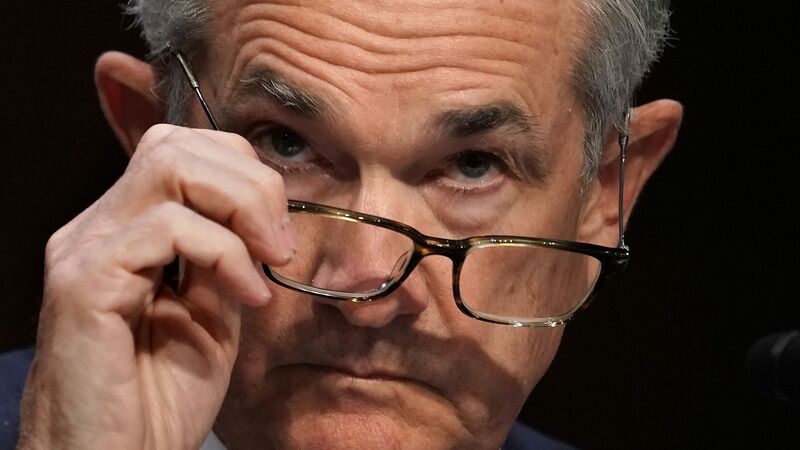 Powell has never responded directly to the attacks, except to reiterate the importance of a politically independent central bank.